With the dimmer interface you can conveniently also dim Loox lights in cabinetry together using a wall switch. The modular design makes installation easier. 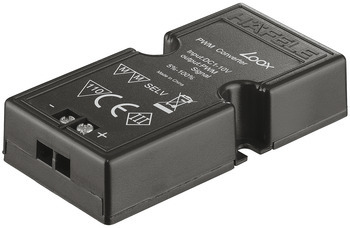 Please order lead for modular switch to Loox driver separately. Cannot be combined with multi switch box.